We believe the perfect bedding set needs to be playful and timeless. This time we are simply in love with a black dots pattern! It adds graphics style to the kid’s room. The fabrics are made in Portugal. 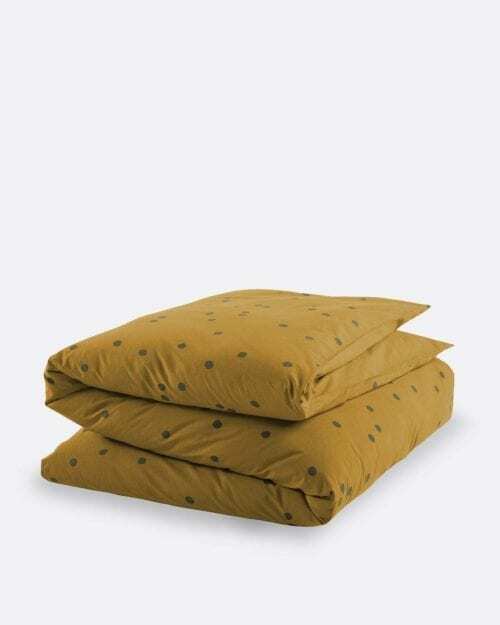 Quality and excellent touch with the percale 100% cotton and its 220 threads. Pure pleasure !